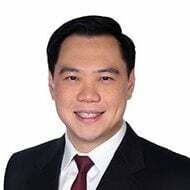 Mr Eugene SEAH joined Surbana Jurong Group on January 1 2017, as Senior Director, Group CEO’s office to spearhead and oversee the Group’s special projects, in particular Group initiative on Sustainable, BIM and Productivity. He oversees the Key Account Management team and is also a Director on the Boards of Threesixty Cost Management and Threesixty Contract Advisory. Eugene is highly experienced in Quantity Surveying and often injects sustainability value management and green approaches into his work to achieve to project efficiency. He is a Green Mark professional and is knowledgeable in sustainable buildings. He is also an Accredited Adjudicator under Singapore Mediation Centre and a registered Mediator in the Singapore Institute of Surveyors and Valuers. Eugene is now working on enhancing productivity in Design and Construction and researching on Computational BIM, VR/MR and other productivity enhancement topics for the Surbana Jurong Group. Beyond software: Are we ready for construction’s digital transformation? Every parent understands the challenges and rewards of teaching children. But can similar skills be employed in the business and office environment to help attract and retain the best staff? The Quantity Surveyor and Cost Engineer professions have the opportunity to embrace a broader vision for the future and redefine traditional roles. As new technology sweeps rapidly across the construction industry, existing professionals and new graduates must evolve to meet the changing demands of global clients.